10-foot self-retracting lanyard with cover, auto locking carabiner and 34-Inch swivel locking snap hook. 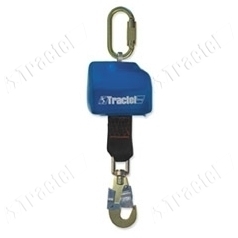 The self-retracting lanyard is designed to be used as a connecting device in a personal fall arrest system. 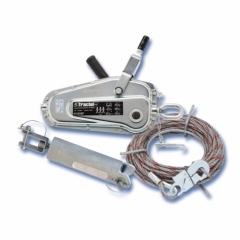 The self-retracting lanyard connects the user’s harness to the anchorage point. Typical applications are for indoor warehouse use, for personnel using forklifts or order pickers. 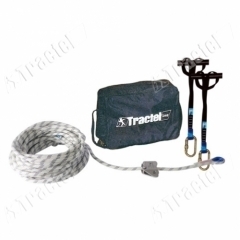 The self-retracting lanyard allows freedom of movement for loading and unloading pallets and skids in elevated areas, and eliminates tripping hazards and dangerous falls normal associated with rope lanyards. In case of a slip or a fall, and internal braking system immediately activates to arrest the fall. 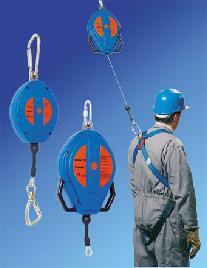 The self-retracting lanyard contains 9-Feet (2.7 m) of polyester webbing wound on a spring-loaded drum. Supplied with an auto locking carabiner and a 3/4-Inch (19 mm) self-locking snap hook and a PVC cover. A fall indicator label is sewn with the other labels. The Tempo 3 is a Provisional compact lifeline, ensuring the fastest, most efficient lifeline available on the market.